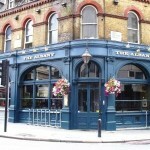 If you're looking for pubs or bars in West London then you've come to the right place. We've got listings for every pub in the area, and with more and more becoming fully registered members every day there's more and more that you can find out about what's going on and who's who. One of the most exciting new pubs in central London, The Admiralty is a voyage of discovery that takes its theme from the decks of HMS Victory. Adventure Bar in Westminster has a cocktail bar. 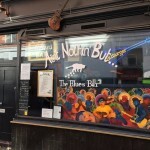 Blues club hosting both local and American acts nightly, with jam sessions on Monday and Sunday. 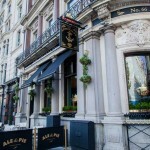 Combining the best in British pub hospitality with individuality, character and quirky charm, The Albany is located in the heart of London’s Fitzrovia district, on the corner of Regent’s Park and Great Portland Street. 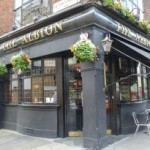 Albion in Hammersmith and Fulham has aircon. The pub gives a warm welcome to dogs and their owners, it is a family friendly pub. Albion serves food. The pub has a function room that can be booked, it has an outside area. Albion serves real ale. The pub has a real fire, it has a smoking area. Albion has free WiFi. The pub has DJ's, it has live music events. Albion shows football on TV. The pub has terrestrial TV, it is a member of Cask Marque. 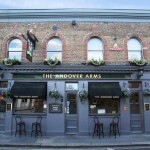 Andover Arms in Hammersmith and Fulham serves food. The pub serves real ale, it has free WiFi. Andover Arms is a member of Cask Marque. 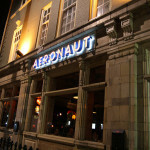 Angel & Askew in Hammersmith and Fulham has an outside area. The pub has free WiFi. Angel & Crown in Westminster serves food. The pub serves real ale.